The Sin of the Spies (Bamidbar 13) which inaugurated Tisha bAv for the Jewish people. Sometimes, I feel the pain of galut more intensely after making aliyah than I ever did from outside the Land. 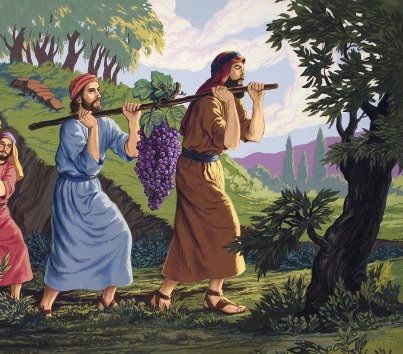 I consider it a great personal merit to live in Israel and am grateful to have connected to the desire of Hashem to see his children resettled in the Land of Israel. As I mark off time in my new life in Israel, I am grateful to still be here, to have not been forced to leave Israel for any reason. 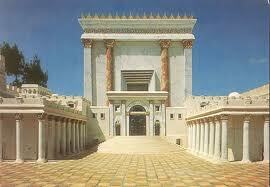 Until this year, I didn't realize that Tisha B'Av is really all about aliyah. And the fact that aliyah is not yet a burning desire for so many Jews is, for me, the pain of galut. What else is the pain of galut for me? Her assumption that Tisha B'Av will be on next year's calendar as a day of sadness, her seeming inability to incorporate the tradition that Tisha B'Av will become a holiday in the time of Moshiach (may we merit to see that transformation soon) is the pain of galut for me. That the institution called The Center for the Jewish Future is located in New York and not Jerusalem is the pain of galut for me. But on that hot summer day in Los Angeles, towards the end of the long and hard day of fasting, I looked around at my fellow Jews sitting on the floor of their magnificent and air-conditioned synagogue in their slippers and suits. Their nice cars were parked in the shul’s private parking lot, all not so far from their beautiful American homes and Jewish community schools and other institutions. And when I realized that they were investing more in building their community’s Jewish services, I became sad. I realized that they feel that they are at home, and not in exile. They are making plans to be there for many more years. They have forgotten the essence of what we have been mourning for, for so long. It is heart breaking. It dawned on me that my Jewish brothers and sisters are comfortable here in the exile (which they prefer to call “Diaspora”). They are acting out the Jewish custom of fasting on this holy day, but have detached it from its true point, since its meaning is to preserve our national aspiration to return to our land, rebuild it, and treasure it forever. They feel content to go one day without food and fun, and follow it up with a kosher Chinese or Sushi treat. I felt a real pain for my brothers who have become so absorbed in the comforts of the West that they have become deaf to the inner calling of our national soul, to return to our true home in the East. I had the urge to tell my brothers sitting there on the floor some 24 hours into the longest and hardest fast of our yearly cycle that they, their community and beautiful shul, mikvah and kosher food are the greatest evidence of what we mourn for today, the destruction of our Temple and dispersion of our people. That Jewish people are still buying property, building businesses, shuls and schools with no plans to leave their places outside of Israel is the pain of galut for me. That the Jewish Federations in the US are dropping the word Zionism from their global planning document because it is considered too controversial a term is the pain of galut for me. Approximately 11 and a half minutes into this short film, Yishai Fleisher teaches that, ultimately, Tisha B'Av will be a great festival when all the Jewish people will be returned to the Land of Israel, when all Jews will be reunited here. Just as I imagine that Hashem grieves over His children who are still living so far from home, so do I grieve personally over the absence of so many people I love who are not together with me in the Land. The painful reality is that we are not yet reunited. And, for me, that is the deepest pain of galut. He Ain't Heavy. He's My Moshiach. The Nine Days. Not a terribly creative name for the period between Rosh Chodesh Av and Tisha B'Av. It's a heavy time in Jewish history, focused on the destruction of the First and Second Temples among other great tragedies in Jewish history. Since we mark it with customs of semi-mourning, I don't feel right wishing anyone Chodesh Tov this month. But more, there is a heavy sense of anticipation in the air around me. In certain circles, there is much talk about Moshiach making himself known to us by Tisha B'Av this year. How many shiurim have I watched that explain why 5772 is a significant year? How many books and articles have I read about geula? How many blog posts have I forwarded to the GeulaWatch group? How many times have I imagined life as we know it changing very dramatically, very, very soon? I can't quite wrap my brain around the idea that this might really be the time of our redemption. I feel tension in my belly. Maybe, maybe, maybe. What if? What if? But really, what if? Oof! This feeling, this constant anticipation, is so hard to articulate. I learned in the name of Rav Mordechai Eliyahu, zt"l, that we are supposed to wait for Moshiach like we wait for a bus, checking our watches, peering down the street, fully expecting the bus [the redeemer], to show up any minute now. For 10 minutes, for 20 minutes, maybe for half an hour you can wait like that. But for days? For weeks? For months? For years? Decades? Centuries? For two millennia?? It's not any easy thing to do. My sister-in-law recently asked me if I have a Plan B was in case, Gd-forbid, Moshiach does not reveal himself to the Jewish people by this Tisha B'Av. I told her, "I'll keep on waiting." This video, about being ready for the redemption in innocence and purity, is under two minutes long. It's worth the click. There are just over 120 days until the presidential elections in the US. American ex-pats are eligible to vote in the US presidential elections but have to register to vote before each election. There is an organization made up of recent and long-time olim, that has been present at almost every event for English-speakers in Israel that I have attended in the last few months, trying to sign up eligible voters. Their pitch is slick and their message is, seemingly, everywhere. 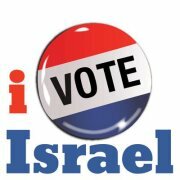 They have compelling reasons why it's important that dual citizens living in Israel should vote in the US elections. This organization believes in the power of absentee ballots, believes in the power of a flood of ballots from Israel to demonstrate that American citizens support Israel, believes that voting in the US elections is an important way to protect and support Israel. I totally hear these arguments and feel that they have some merit. I am completely comfortable with each dual citizen making his or her own decision on this matter. As for me, I'm not voting for Romney because I'm not voting in the US presidential election at all. As a US citizen living in the US, I never missed a voting opportunity. I took my citizenship responsibilities seriously. Although not a political animal by nature, I did my homework and made informed choices at the voting booth for decades. Two years ago, I gratefully, proudly and wholly accepted full citizenship in another country. Even though the US government allows me to vote in their elections, I feel that it is no longer my place to do so. Like many Israelis, I take exception to US Jews who postulate solutions for Israel without having to live with the consequences of their advice. I begrudge US foreign policy that impacts Israel's internal decisions. Similarly, I feel that, since I no longer have to live under the direct governance of whomever is in the White House, I have no right to try to influence the election, even though it is legal (and even encouraged) to do so. I am not naive. I know that nations are interdependent and politics is a cagey game. And I can hear that voting in the US election is my chance to push back. I hear. But for myself, I made a different choice. When the HaBayit HaYehudi primary is held in October, I hope to cast my vote for the governance of the country in which I live. That's how I will "vote Israel".